White wines are good all year around but even more delightful as the days begin to warm, as with our weather this week. Let’s hope it holds through Mother’s Day. With that in mind, I have three value white wines to recommend for this week. Two wines come from BevMo and the third from Cost Plus World Market. 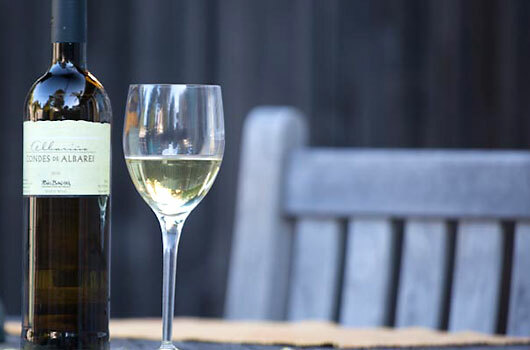 For those of you who read GoodCheapVino on a regular basis, you know that Albariño wine from the Rias Baixas region of Spain is a favorite varietal wine of ours. This is one of the good ones and price at BevMo this week is very good at 10.71. We served this wine last Monday with a group of folks who are not all big wine drinkers. At least two guests wanted to know more about the wine, asking to see the bottle, and asked where I purchased it. Not only is this wine refreshing, but it has great character with slight lemon and lime characteristics. It goes well with both outdoor fare and seafood dishes. The Wine Enthusiast gives it 90 Points. I go with 89. This one is a steal if you purchase two at the sneak preview of the BevMo 5-Cent Sale. That’s right, the big sale begins in June, but for promo purposes BevMo has decided to put a few wines on sale right now . I visited the Vigilance winery in Lake County exactly one year ago. The winemaking is state of the art and all the vineyards are farmed sustainably. Land in Lake County is comparatively inexpensive, especially if you’d purchased the land years ago as Clay Shannon did. Clay owns both Vigilance and Shannon Vineyards. If you like the big citrusy and grapefruity New Zealand style Sauvignon Blancs, you will really enjoy this wine. 88 Points and a true value when you can get it at $7.52. 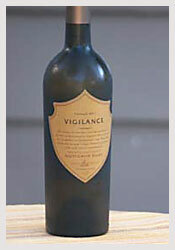 If you check the Vigilance Website, this wine is selling for $19.99 a bottle. If you are looking for sparkling wine that is delicious and costs under $10 then jump on the offer at Cost Plus World Market. The regular price is $8.99, but if you purchase four or more the price is an astounding $6.09 a bottle. This is the best price I have seen this value Cava from Spain offered anywhere in my area. We were introduced to this sparkling wine in Spain and love the flavors of this wine. We now purchase it on a regular basis. The Wine Enthusiast has it at Number 19 on its “Top 100 Best Buys.” I give it 87 Points. I’m going to Telluride for the first time this winter. I’d love some insider tips like what your favorite runs are, etc. Members of my group range from green to black. Food recommendations, and recommendations for what to do on a non-skiing day, would also be very welcome. We’ve already got lodging sorted out, though.